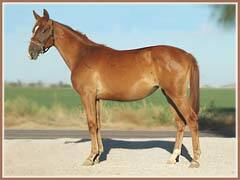 Madira is a lovely filly and will make an excellent performance horse and broodmare. 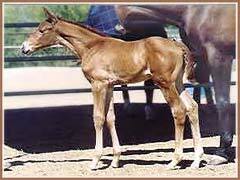 She is large - expected to mature 16.2-16.3 - with good sized bone and joints. 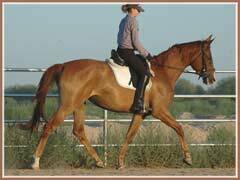 She has 3 good gaits and a wonderful in-your-pocket personality. She loves attention, the more the better. 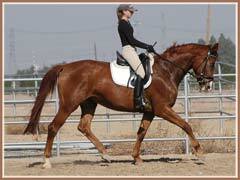 Madira was started under saddle at the beginning of June, 2007 and is doing very well! 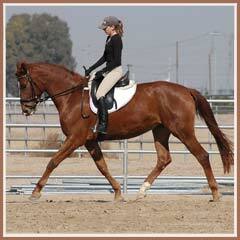 Check back for under saddle updates along with photos! Madira's dam, Marcella is by Vincent out of Media by Condus. 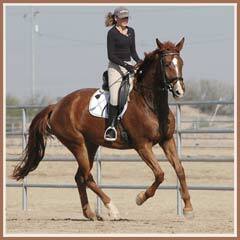 Marcella was trained through Second Level Dressage with her Amateur owner. 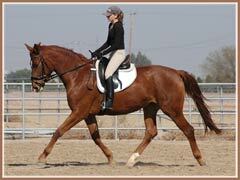 Her first son, Marchese, has followed in her path and is a dressage partner with his breeder/owner. Heling, Madira's sire - and also the sire of one of our best mares Kalua - has a record of improving movement, based on his daughters' inspection scores in Germany. 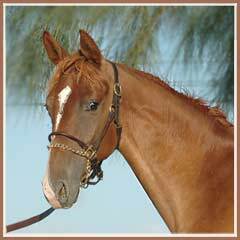 Congratulations to Pam Bennington on the purchase of Madira! 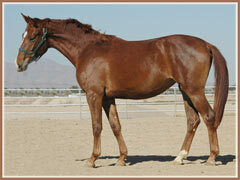 Madira will be moving to her new home at the end of March.